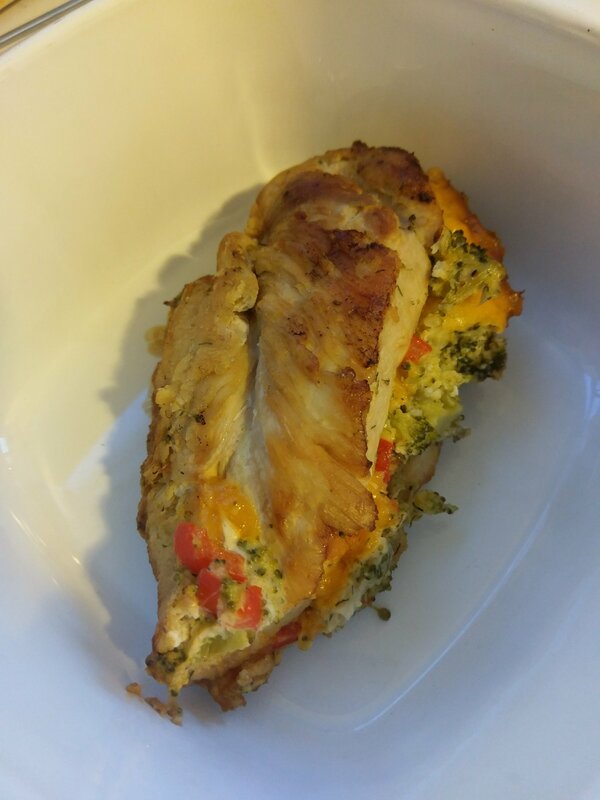 For some reason I have a lot of stuffed chicken recipes. This one is a fave though! This tangy mixture stuffed with cheese into chicken makes for a perfect evening meal and the leftovers are even better! Butterfly the chicken breast and set aside. In a large bowl mix together all of the remaining ingredients except the cheese. Heat a cast iron pan with a tbsp. of oil on my high heat, and preheat the oven to 350°F. Stuff the chicken with the cheese and broccoli mixture and place on the hot pan. Cook 5-7 min each side turning once. If you had any extra broccoli mix spoon this into the pan, lightly cover with foil and place in the oven for 20-25 minutes or until internal temp of the chicken is at least 165°F. Allow to stand for a couple minutes before serving! Enjoy! Previous Entry A year in review!